Allergy-Friendly Skillet Brownies - GetCooking! 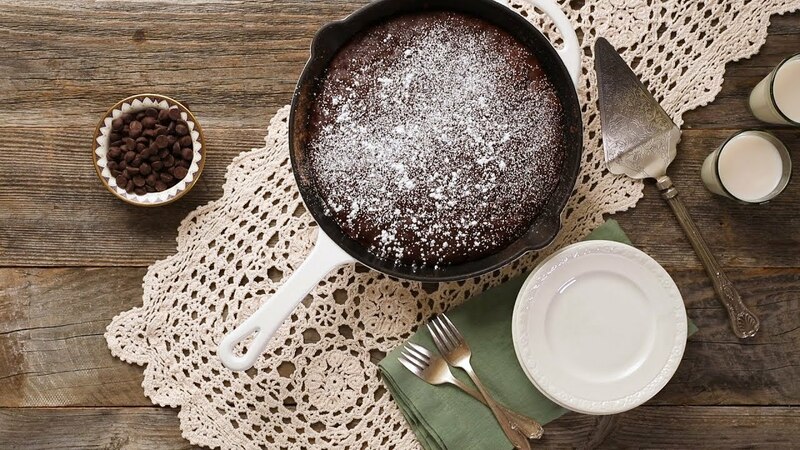 Thrive Market’s – Allergy-Friendly Skillet Brownies recipe. If you consider yourself a chocolate lover, we’re betting a brownie is high on your list of favorite treats. This crave-worthy recipe starts with an amazing flour blend from Enjoy Life that’s gluten-free, dairy-free, and vegan, and then mixes in the rich flavor of coffee to enhance the chocolate notes. The test kitchen reports it’s pretty hard to eat just one bite, so don’t say we didn’t warn you. We’d love to hear your feedback on this video recipe format in the comments section below! If you used this video to make Allergy-Friendly Skillet Brownies, please tell us how it went! View the original recipe notes here: Thrive Market- Allergy-Friendly Skillet Brownies.